The views are breathtaking and the appointments are refined at our truly special Alpine Vista. 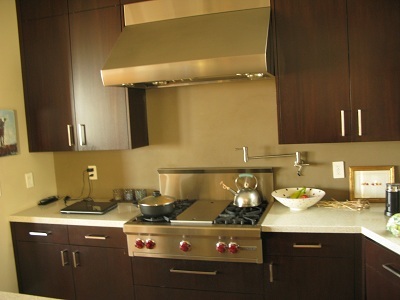 The property is located on a very quiet hillside street that is still located in the middle of San Francisco. Alpine Vista offers gracious and expansive common areas all with the same incredible views of the city of San Francisco and the East Bay. The details of the property have been finely attended to offering both elegance and charm. Comfort has also been well thought out with the inclusion of a private elevator. Ascend the stairs to the first floor and you will find a large and open floor plan with a very large kitchen equipped with an island suitable both for preparing and eating. 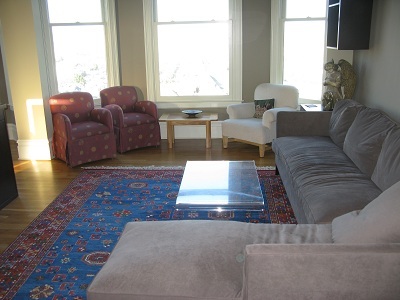 There is a large living room and an adjacent dining area all with the same special views. The first floor also has a common bathroom. 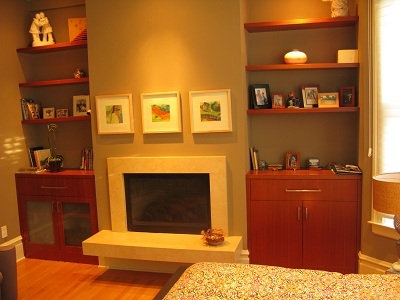 In the front of the unit there is a comfortable master bedroom with a fireplace. There is also a large full bath en suite. 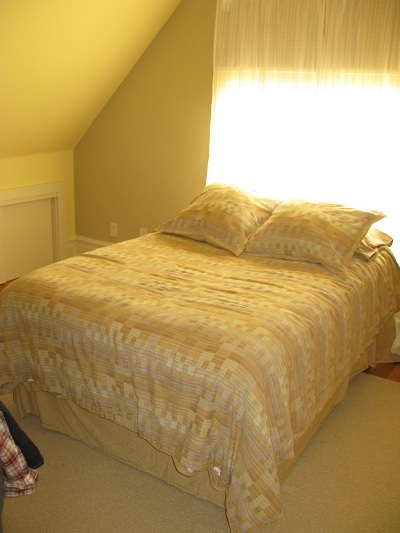 Climb the stairs to the second floor and there are two more bedrooms each with full and complete bathrooms. 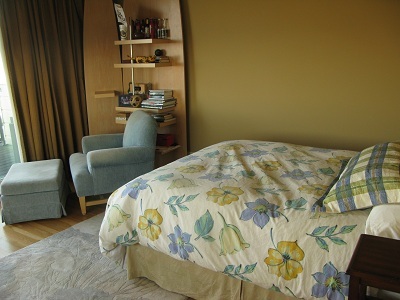 The rear bedroom again has a small deck and full city views. Though on a quiet street Alpine Vista is a short walk from the many exciting dining and shopping opportunities of the very active Divisadero Shopping corridor. The Castro is also within walking distance. There are many public transportation options with three blocks of Alpine Vista including the very convenient N-Judah line of the muni metro. There is one parking place with the property and the elevator does service the garage. 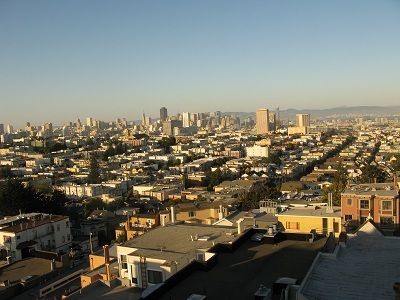 If you want to have a special one of a kind visit to San Francisco book our Alpine Vista for your next stay.